Thursday, Dec. 13, 2018, 5 – 7 p.m. 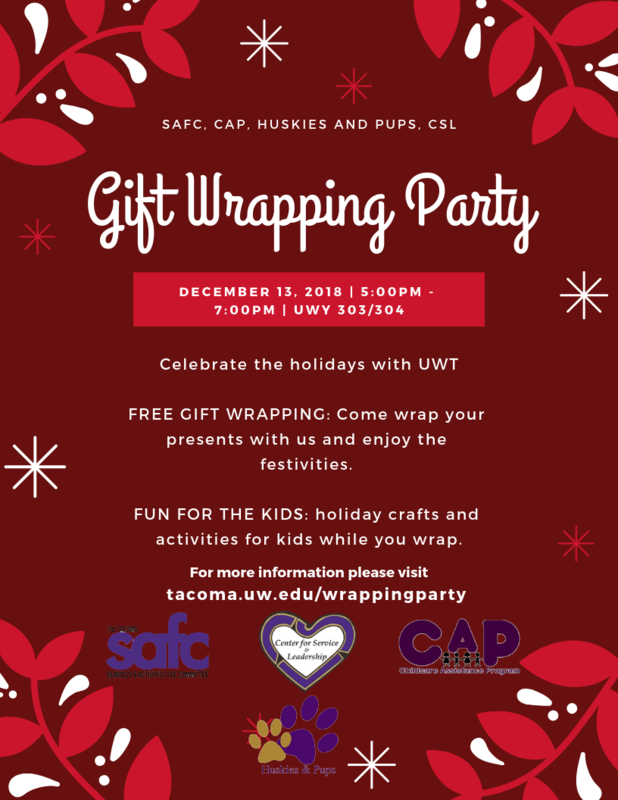 THE WRAPPING PARTY: Join students, staff and community members as we wrap our gifts and gifts for community members. A great atmosphere, holiday refreshments and a great time to unwind after a long quarter! CHILDWATCH, GAMES AND ACTIVITIES: Students from the Huskies and Pups club will put on games and activities for parents and children engage. The YMCA ChildWatch is available to those with little ones who shouldn't be seeing their presents being wrapped.